I’ve been following Erin’s recipes for years because they’re always super fun. Aside from her love for root beer, she also does a peanut butter and chocolate series for the Buckeyes games each fall. And from Game of Thrones to Harry Potter, she’s always on point with her pop culture! Whether you’re following her blog, Facebook , Twitter, or Instagram, there’s always fun to be had! Of course, I had to go with her love of root beef for this little nod. 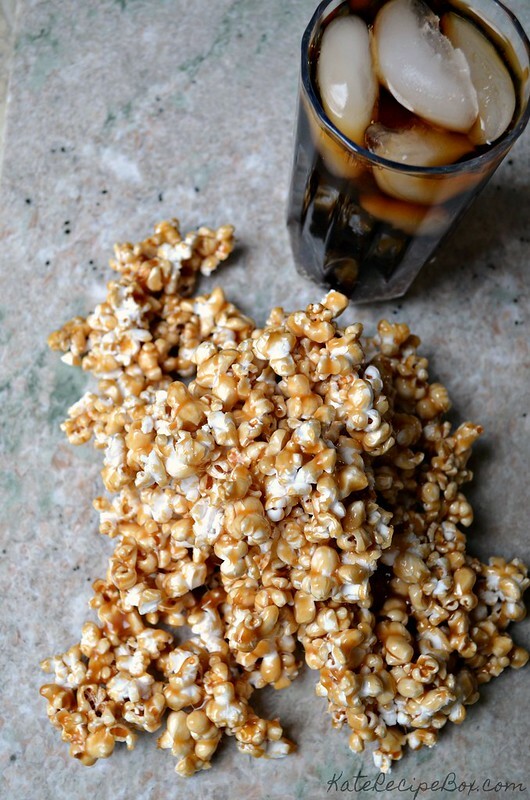 This root beer-glazed popcorn is such a fun treat. 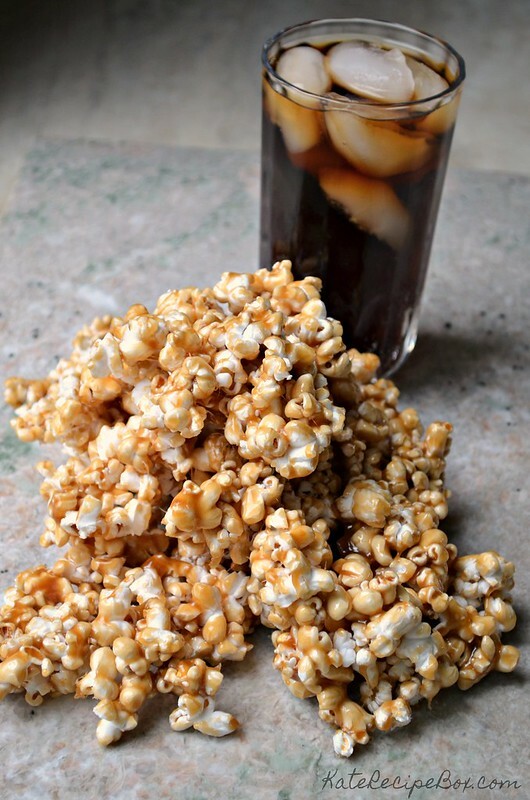 It’s sweet like caramel corn, but with that great root beer taste. 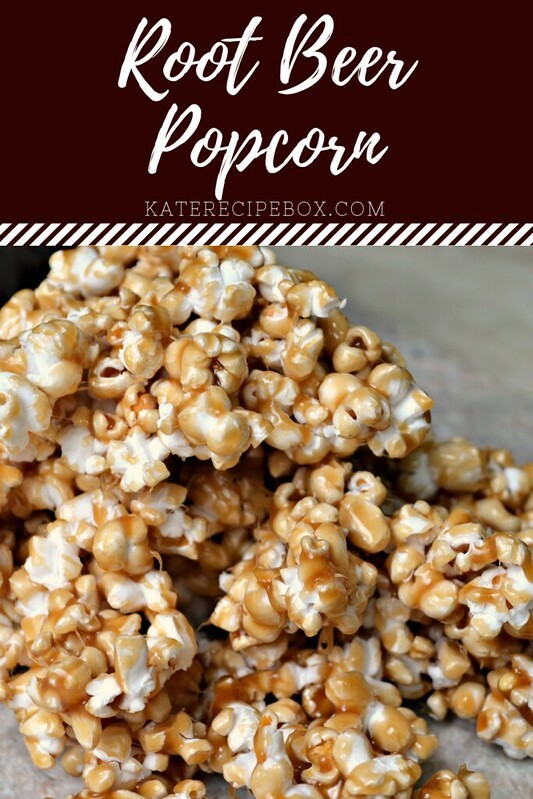 It only takes a few minutes to whip up a batch and it makes a really awesome snack for movie night or game night! Place the popcorn in a large bowl – the popcorn should only fill it about halfway. Line 2 baking sheets with parchment. Add the root beer to a small saucepan and boil until reduced to 1/2 cup. Set aside to cool slightly. In a medium saucepan fitted with a candy thermometer, melt the butter. Stir in the brown sugar and cook until the sugar is dissolved. Stir in the root beer and bring it nearly to boiling. Add the corn syrup. Continue to cook until it reaches 225 degrees on the candy thermometer – this will be about 8-10 minutes and the mixture will thicken significantly. Remove from heat and stir in the salt, vanilla, and root beer extract. Set aside to cool for 5 minutes. Stir, then dump over the popcorn and stir to coat. Spread the popcorn out on the prepared baking sheets. Allow to cool to room temperature, then stir to break up any clumps.